 I have a small home/project studio in Shanghai creating and recording EDM both ?in the box? (Apple iMac running Logic Pro X and Ableton Live) and using external gear. I was looking for a new, versatile, compact, semi-professional USB audio/midi interface to replace my existing Presonus Audiobox. Audiofuse seemed just what the doctor ordered and after using it a couple of months now I can share some of my personal observations/experiences. It is a surprisingly small and chunky, full metal chassis with a sturdy metal cover (you can take this baby anywhere in a backpack without worrying about broken off knobs or switches). The buttons are very ?clicky? and solid, the large volume knob is super accurate moving in half decibel increments from minus128 db up to zero. No volume ?jumping? that you often have in cheaper interfaces!! All input/out connectors are well mounted and nothing wiggles. Another party piece of Audiofuse. You can read up on the detailed specs, but needless to say there is nothing you don?t have. From a Phono RCA input (incl. a separate GND connector), two separate speaker set outs, Midi in/out, a triple USB hub, an SPDIF/ADAT light pipe and conventional in/out (allowing for 8 input channels to be added using additional hardware - awesome! ), inserts for outboard effects, 2 dedicated headphone outs with both 1/4? and 3.5 mm jack outs as well as 2 combined XLR and 1/4? mic/instrument inputs. There is even a build-in talkback mic? p.s. : I connected a 20-year old Alesis QSR using the ADAT pipe - it worked like a charm and the sound came in with fantastic quality. With so much stuff cramped into such a small box one wonders how accessible important functions really are. Well, Arturia did a great job and one can tell they were really listening to people who use this kind of gear for a living. it is literally a full mixer boiled down to what you really need. I find myself not having to use the Audiofuse software for changing routings and settings too often. Pretty amazing come to think of it how much practicality can come from 19 buttons and 6 knobs using a surface area of just 11 cm x 11 cm. One of the buttons conveniently opens and closes the Audiofuse control center software on your computer - this is very useful. In one word: Great. The noise floor for the mic/instrument preamps is sooooo low that you can crank the inputs all the way up and still not hear anything. The headroom is really amazing and whatever I recorded (voice or synths) ended up in the box at pristine audio quality. I have the Audiofuse outputs connected to my trusted Genelec monitors. The Audiofuse does not have a ?sound? per say, a flat frequency and no noise allow for the sound to travel to the speakers unchanged. The same goes for the headphone outs. I am not a tech-wizard by a long shot, I just use gear to make music. I could not detect any audible issues with latency - USB 2.0 can handle over 400 Mb/s (that?s easily more than 15 audio channels simultaneously)? that does it for me. No problems with both Logic Pro X and Ableton Live. 4) Compatibility (did I mention it connects to iOS devices? Although, I have not tried it yet?). 5) No break out cable (a big plus in my book), except for the ?old? Midi ins/outs. And it is expandable by up to 8 additional inputs using ADAT/SPDIF. 1) If you want the unit to run at full specs, you need to connect it to an external power supply (it comes with it) and USB. Then the unit becomes EXTREMELY (!!) hot. To a point where it is uncomfortable to touch. Arturia claims that this is ?normal? as the metal chassis is used to dispense heat. But, for one, heat is the enemy to longevity of electrical parts and two, no device you constantly have to touch should be that hot - it?s neither comfortable nor re-assuring. 2) The unplugging or plugging in of the power cable or the USB cable causes an extremely loud and nasty ?thud? noise to hit the speaker outs. The same things goes for when you are powering your computer up or down with Audiofuse connected. My Genelecs have protection circuits built in, but other speakers may get damaged from this. There is no dedicated power button either, so the only ?safe? way for the unit to be powered down is to first unplug the speaker cables. This is at least annoying. 3) While all 18 buttons are constantly backlit using LEDs (brightly lit when the function is turned on, dimmed when off) the text on them is hard to read - let alone at any angle other than straight from the top, which is hardly ever the case as users are generally sitting down during a recording session. 4) The headphone outputs, at least for my personal taste, are not powerful enough by a subjective ?30%? or so. 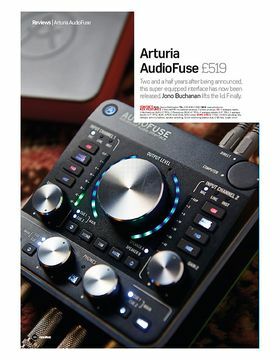 Audiofuse is clearly no consumer device so Arturia should expect for some higher impedance studio headphones to be used which require more power. Strangely enough my cans (AKG K240 at 55 ohms and AKG K712 at 62 ohms) are not really ?high impedance?, yet they are barely comfortably ?loud? whereas my Apple EarPods are blown apart by the Audiofuse. I acknowledge that this might be a bit subjective and depending on personal tastes. Truly a highest quality swiss army knife type gear. Exceptional when it comes to the combination of robustness, functionality, connectivity, sound quality, portability and user-friendly access to key functions using real knobs and buttons. Would I buy it again? Yes. 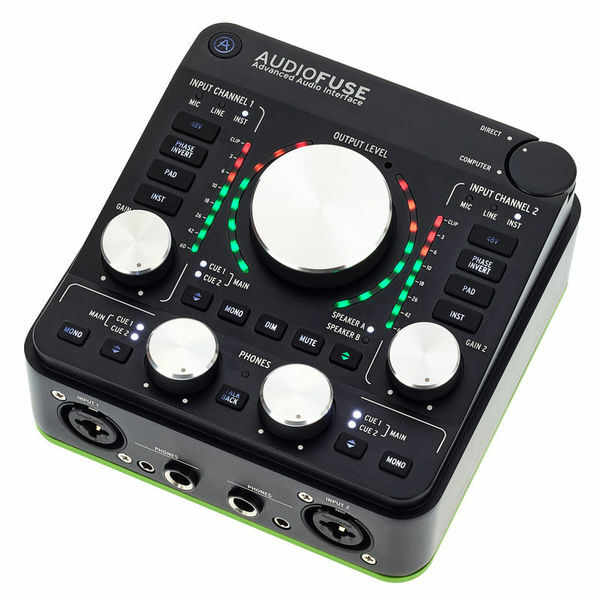 But, the market for portable high-quality USB interfaces is crowded and any potential buyer should do their homework first whether Audiofuse is really what they need. If so, it is an excellent choice.  ID: 362844 © 1996–2019 Thomann GmbH Thomann loves you, because you rock!